Right-click on the Zoolz icon in the system tray, and select the Open Dashboard option. From Zoolz dashboard, click on Data Selection. Refer to the Smart Selection tab, and select the Mail category. 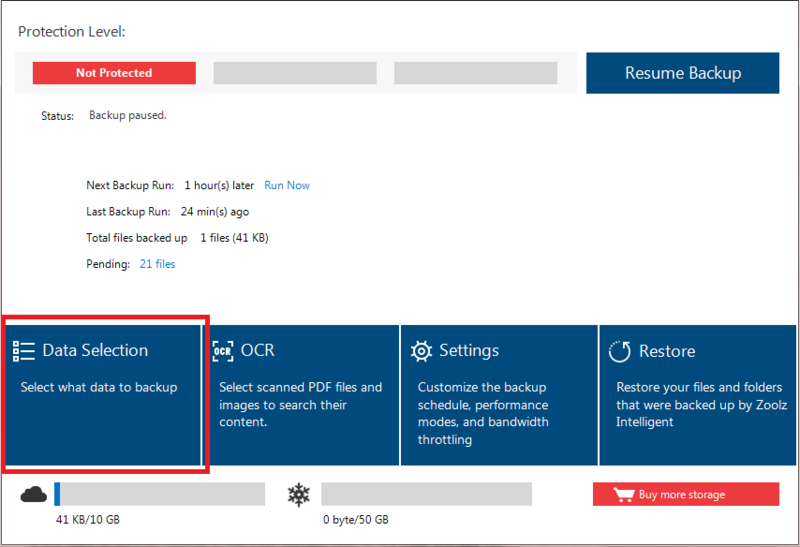 This will backup Outlook PST files to Instant Storage. 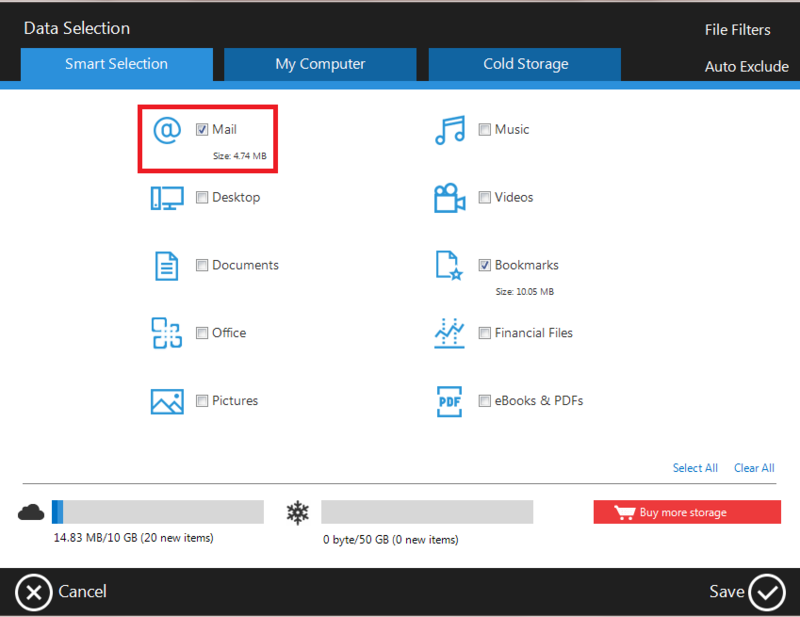 If you want to backup Outlook to the Cold Storage; refer to the Cold Storage tab, click on Add Smart Selection and then select Mail or click on the Add File/Add Folder button, select the wanted PST file, and click OK. 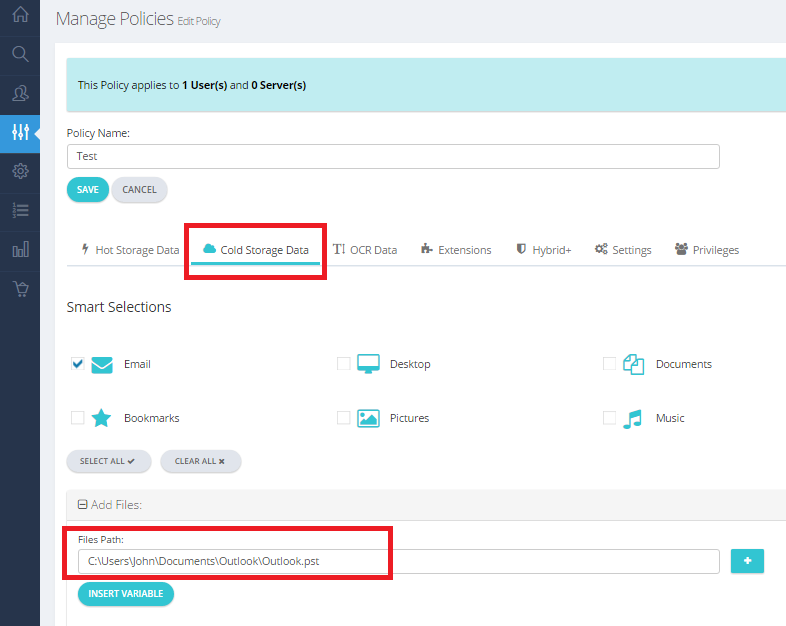 In Zoolz Business, selecting the same data from both My Computer and Cold Storage tabs, will make your data uploaded to the Instant Storage not to the Cold Storage. 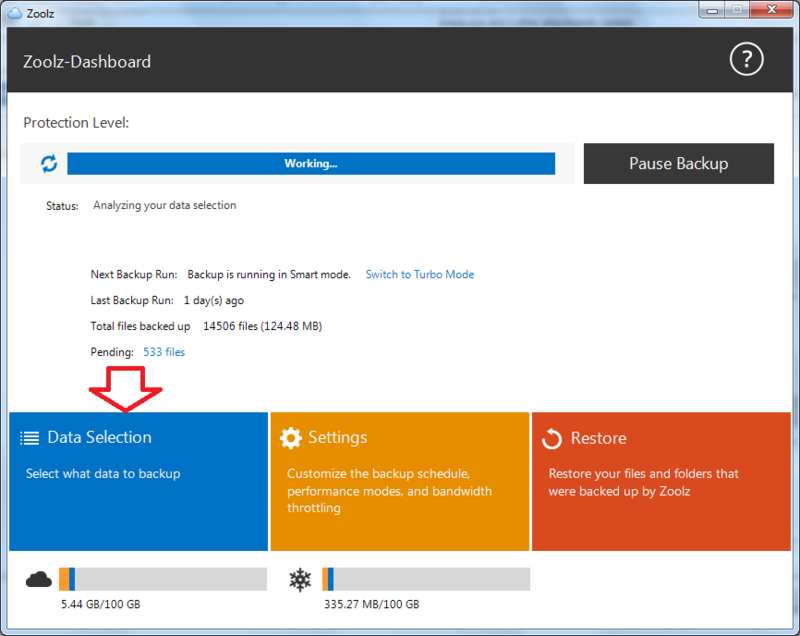 Your plan should contains Instant Storage if you wish to use the Smart Selection tab to select the Outlook to be backed up. Otherwise, you’ll need to select ot from the Cold Storage tab. Refer to the Policies tab. Create a new policy, or select to edit an existing one. 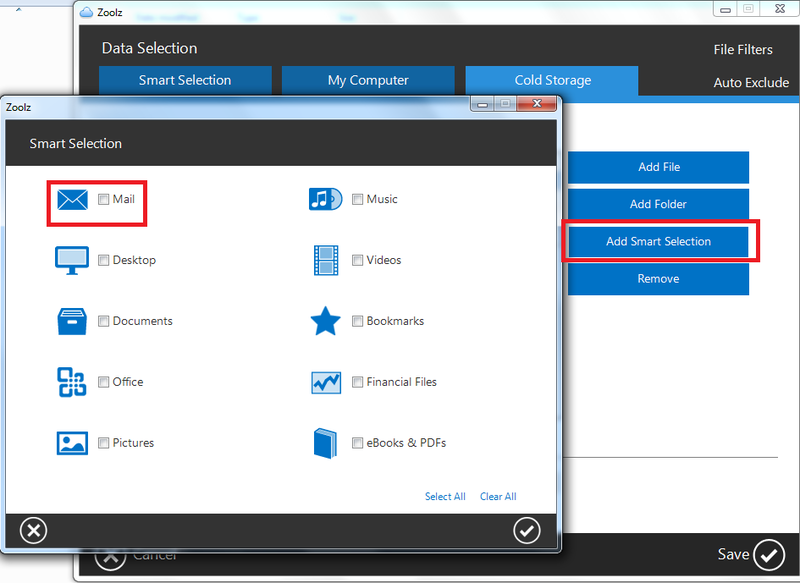 To back up Outlook to Instant Storage, select the Mail category from under the Instant Storage Data tab. 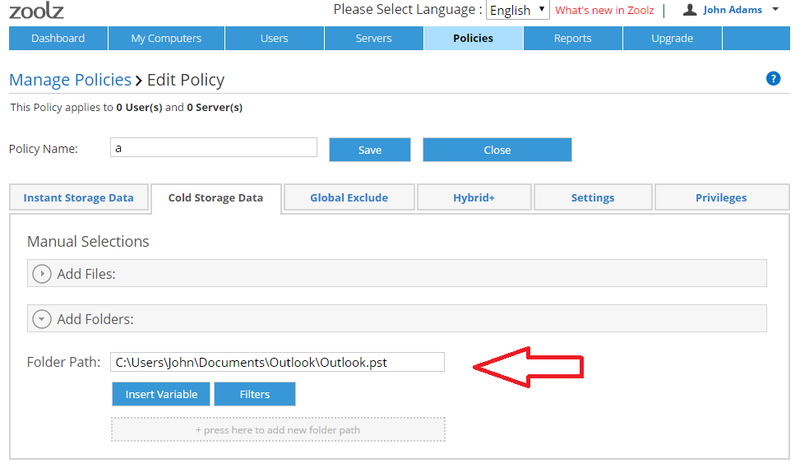 To back up Outlook to Cold Storage, add the path of the PST file(s) from under the Cold Storage Data tab. 4.Click the Save button to confirm the changes. 5. Assign the policy to the wanted user. Refer to the Smart Selection tab, and select the Mail category, or refer to the My Computer tab and select the wanted PST file. From BigMIND’s dashboard, click on Data Selection. 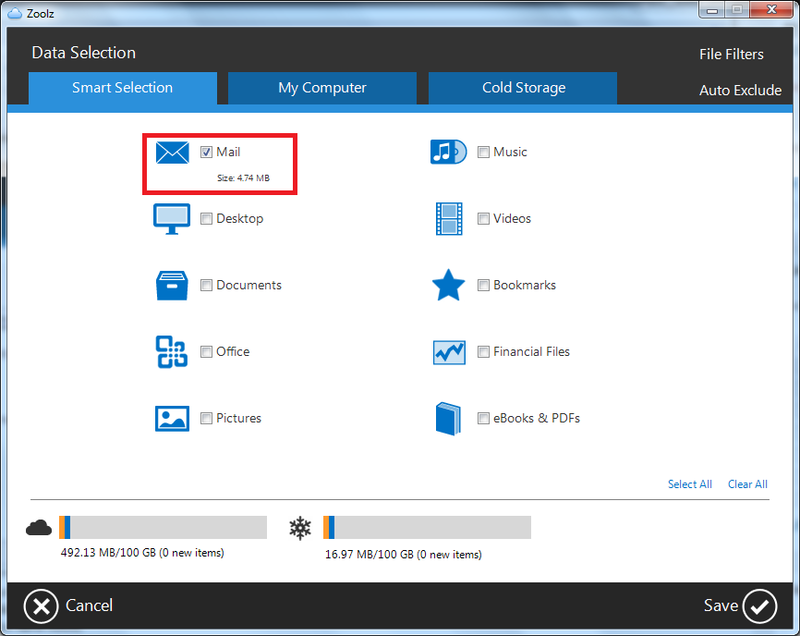 Refer to the Smart Selection tab, and select the Mail This will back up Outlook PST files to the Hot Storage. 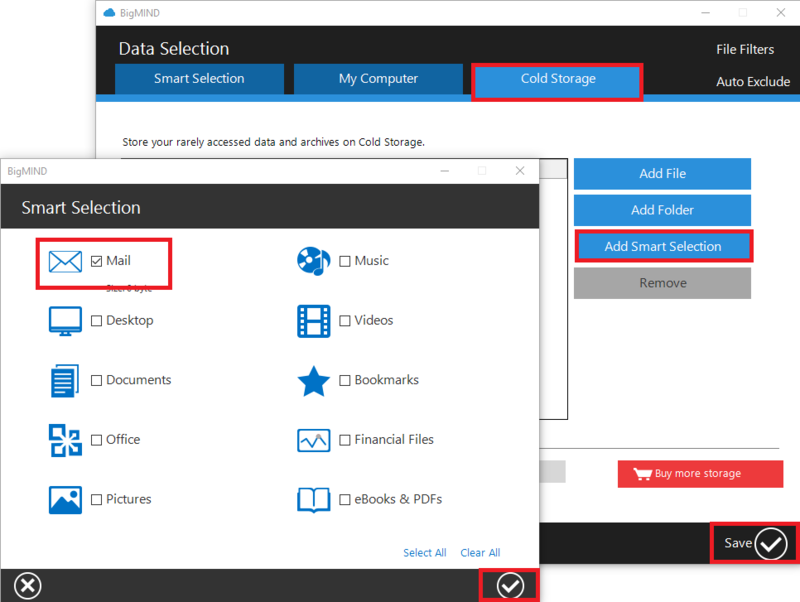 If you want to backup Outlook to the Cold Storage; refer to the Cold Storage tab, click on Add Smart Selection and then select Mail or click on the Add File/Add Folder button, select the wanted PST file, and click. To back up Outlook to Instant Storage, select the Mail category from under the Hot Storage Data tab. Click the Save button to confirm the changes. Assign the policy to the wanted user. Zoolz will backup only the PST files that are used by Outlook now, if you have any archived or old PST files that are not connected to Outlook now, make sure that you manually select them.